For more than 30 years, Tom Stienstra's full-time job has been to capture and communicate the outdoor experience. He has hiked 25,000 miles, caught world-record fish, led dozens of expeditions, and is a certified pilot. 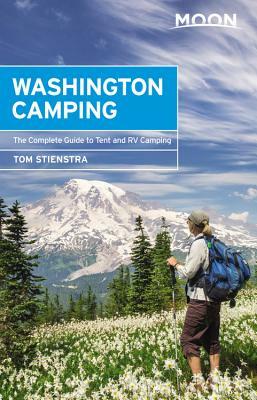 Tom is the nation's top-selling author of outdoors guidebooks. He is the outdoor writer for the San Francisco Chronicle and broadcasts a weekly radio show, Tom Stienstra's Outdoors Reports, on KCBS-San Francisco. His documentary on the Tuolumne River received an Emmy in 2017. Tom has been inducted into the California Outdoors Hall of Fame, has been named California Outdoor Writer of the Year five times, and received the President's Choice Award (Newspaper/Website) from the Outdoor Writer's Association of America three times. You can contact Tom directly via the website www.tomstienstra.com. His guidebooks include: Moon California Camping, Moon California Hiking (with Ann Marie Brown), Moon California Fishing, Moon California Recreational Lakes & Rivers, Moon Northern California Cabins & Cottages, Moon Northern California Camping, Moon Northern California Hiking (with Ann Marie Brown), Moon Oregon Camping, Moon Pacific Northwest Camping, Moon Washington Camping, Moon West Coast RV Camping, California Wildlife, and Tom Stienstra's Bay Area Recreation.